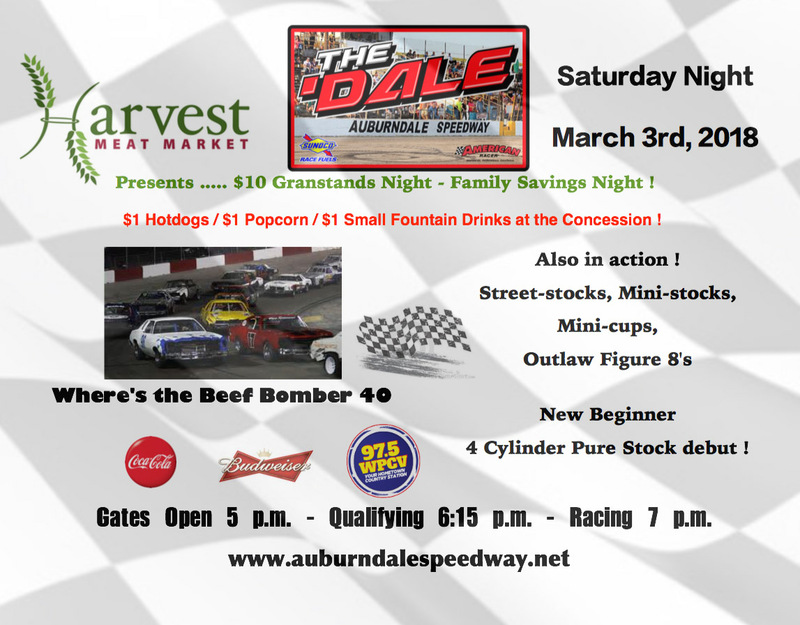 For the second time early this racing season Auburndale Speedway and Harvest Meat Markets are holding another “Family Savings Night” this Saturday evening as once again it will be $10 grandstand admission for everyone aged 13 and up. Thanks again go out to marketing partner Harvest Meat Markets along with owners Ed and Anita Kirkland. Harvest has locations in Auburndale, Lakeland,Kathleen, Lake Alfred and Highland City. As a part of the evening, concession stand specials will once again be available including $1 hot dogs, popcorn and small fountain drinks. The premier event of the evening will be the “Where’s the Beef” 40 for the V-8 Bombers paying $500 to win. Also in action will be the Street Stocks, Q Mini Stocks, Mini Cup Cars, Outlaw Figure-8s and the all new Four Cylinder Pure Stock class if enough cars are ready for competition. Pit gates open at 3 pm with practice slated from 4-5:45 pm. Grandstand gates open at 5 pm and qualifying for the V-8 Bombers is slated for 6:15 pm. Racing begins at 7 pm with 8-lap heat races for the Mini Cups, Q Mini Stocks, Four-Cylinder Pure Stocks and Street Stocks. 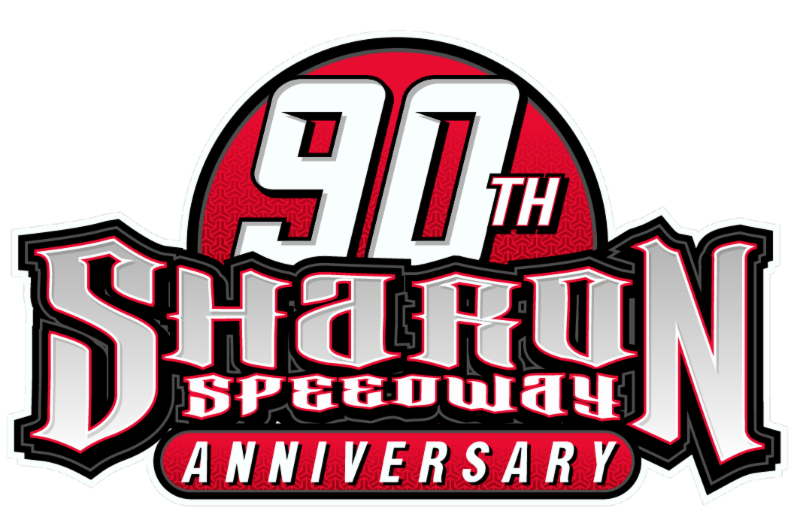 Intermission will feature an autograph/photo op session on the front straight featuring cars and drivers from all divisions that are racing. Feature racing starts out with a pair of 20-lap contests for the Mini Cups and Q Mini Stocks. The new Four-Cylinder Pure Stock class runs their first 15-lap feature next followed by a 25-lapper for the Street Stocks. The evening concludes with the 40-lap “Where’s the Beef” V-8 Bomber Special capped off with a 25 lap run for the Outlaw Figure-8’s. Once again, thanks to Harvest Meat Markets, adult/senior admission for this fun evening of racing is just $10 with children ages 5-12 only $5 and all kids 4 and under getting in free. The family 4-pack not available for this event but will return on on March 10th. Pit passes are $30 per person and all parking is free.